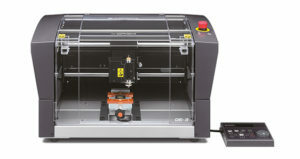 The DE-3 desktop engraver is the latest decorating solution to be added to DGSHAPE’s expanding product range. The DGSHAPE DE-3 is the culmination of over three decades of Roland DG engraving expertise in delivering high-quality, affordable and intuitive digital technologies to creative industries, manufacturers, retailers and education establishments worldwide. 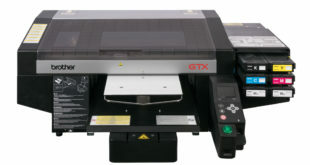 The new DE-3 is an evolution of the EGX-350 and features a range of intelligent enhancements to make operation easier than ever before, including the introduction of a laser-pointer, which helps set up the origin point and previews the engraving area.